In a one-to-one healing session, the practitioner channels Angelic healing energy through his or her hands which are placed on the shoulders if the client prefers a sitting position, or on the chest and solar plexus if the client prefers to lie down. The client remains fully clothed throughout. 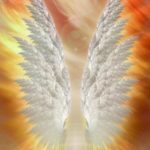 Clients have a profoundly relaxing experience as they listen to Angelic Reiki music by Michael Hammer, specifically channelled through his Angelic guide. The whole session lasts about an hour. 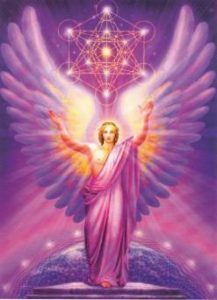 The healing energy is channelled from the Angelic Realms via Healing Angels, Archangels, Acended Masters and Galactic Healers. The scope of the session can extend to include multi-dimensional healing across generations and lifetimes. Often practitioners will include the use of crystals or other energetic tools such as flower remedies as appropriate for the individual client’s needs. After attending a Practitioner level workshop, students will be able to use angelic healing energy for self healing sessions and to give healing sessions to others. 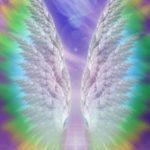 The frequent use of Angelic Reiki for yourself, ideally on a daily basis, promotes powerful personal transformation and healing on the physical, mental and spiritual levels, raising your consciousness towards Ascension. Angelic Reiki therapy and training is not offered as a cure or as a substitute for medical or psychological diagnosis and treatment. The information provided on this website, expressed or implied, is for the purposes of information only; it is not given as medical advice. If you have a health problem, health question or medical emergency you are advised to consult your doctor.